For the past few weeks, I've been posting about a series of Revit add-ins offered by CGS plus LLC. What may not not have been apparent from my preceding posts is that these add-ins are all part of a single product offering! That's pretty easy on the eyes, and the wallet - especially for the site option. The developer notified me that prices will be going up in June, but they will honor these prices until July 1. This looks like great bang for the buck, and for that I'm happy to award CGS plus LLC an Editor's Choice Award! Stay tuned for a product review coming soon! "This tool set includes view manipulation tools like setting a cropped region based on selected elements, resizing a section box for 3D views according to different settings a tool for automatic creation of assembly views." 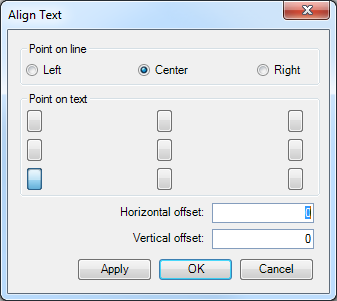 "This tool enables users to resize a section box via a user input in dialog box. User can resize box in all directions to get a better look at details. We’ve added a new option to resize section box to the chosen Room or Level." 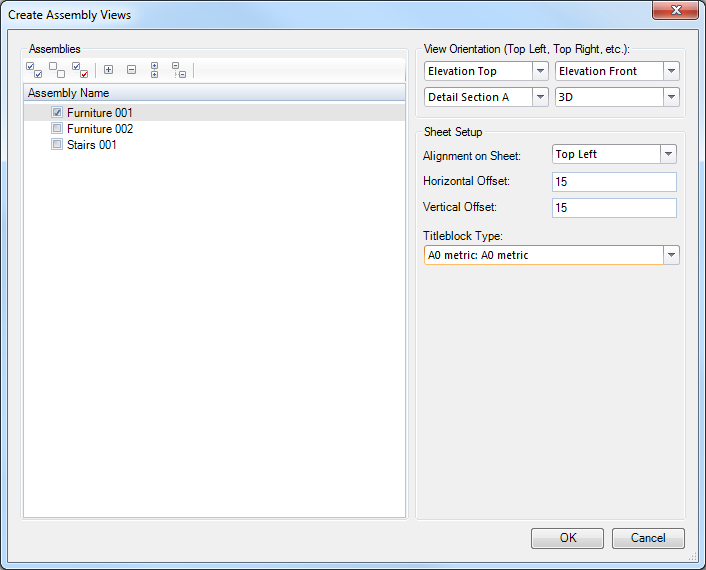 "This tool enables you to quickly generate Assembly Views for selected Assemblies by specifying Views and a Title block. Once you are satisfied with the settings, the tool generates all required views and places them on the Sheets." "The Category Toggle tool enables the user to switch ON and OFF any category in a project (Architecture, Mechanical, Annotation…). A dialogue box offers the ability to select the category then choose to display or hide it in various views. 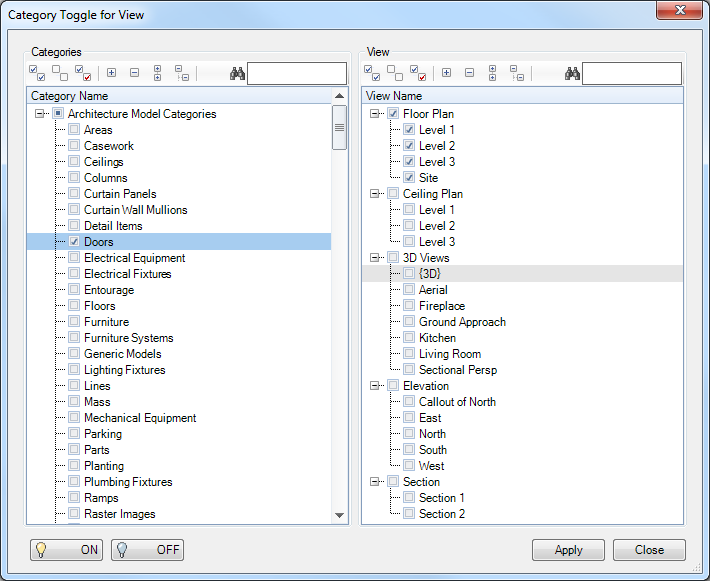 With Category Toggle there is no need to use the Visibility/Graphics dialogue box." 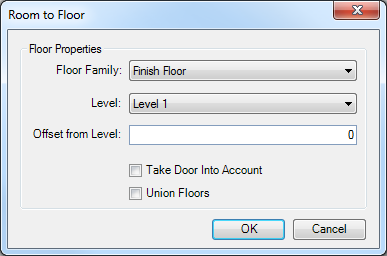 "This tool set includes tools for creating floors based on selected rooms and tools for easier grid name editing." "One of the most useful tools is Room to Floor which enables the users to automatically generate a floor of a selected type within the selected Room. 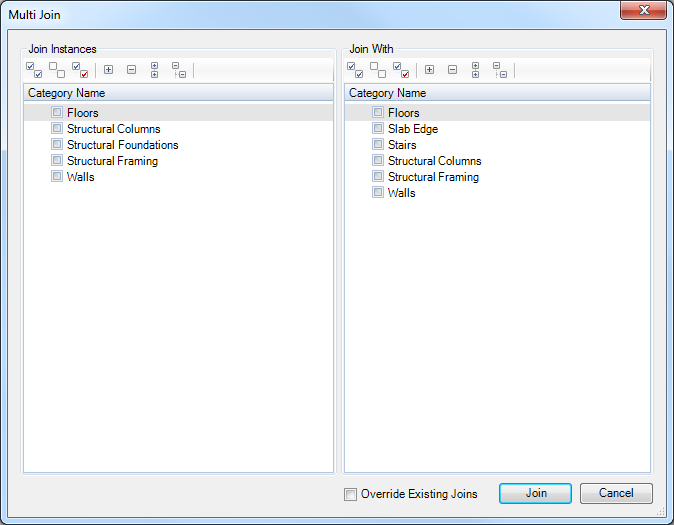 This command can also join several connecting Floors if multiple Rooms are chosen, or take a door swing into account when generating the shape of the Floor..."
"Edit Grid Name tool allows users to quickly edit the names of their grids. 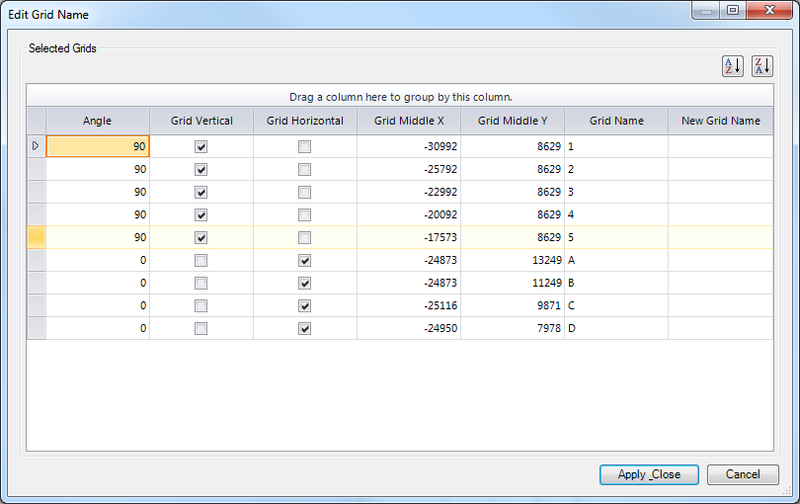 Edit Grid Name tool indicates the direction of the grids, as well as information about the position of the grids (x, y)." 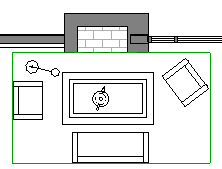 "Draw Bounding Box draws a rectangle around selected elements in an active view. The bounding lines are adaptable and can be changed if necessary. This tool saves time because users can simply select elements and in just one step it is already bounded." 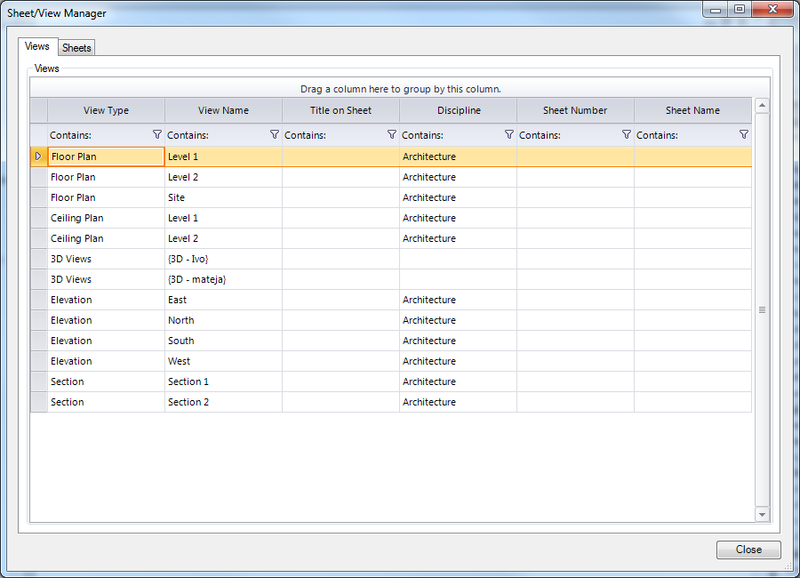 "Multi-Join tool automates Revit's Join Geometry tool by allowing users to join selected categories." "This tool set can analyze selected geometry and store calculated values in shared parameter. Tools include dimensions, door swing analysis and room lighting calculations." 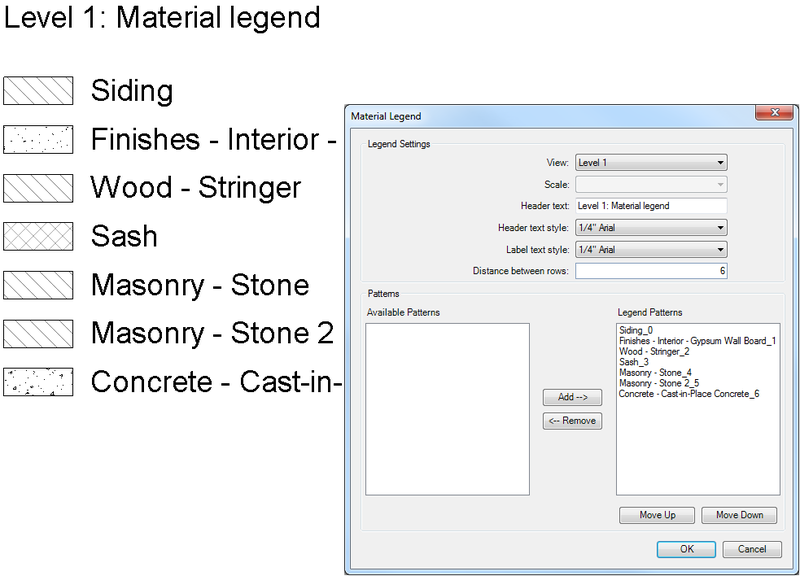 "This is a set of tools for querying element properties such as insertion of specific element, length or thickness of a wall, ect. Properties are defined as shared parameters so the user can easily use it in tags and schedules." "The Room Lighting tool enables the user to calculate the volume of lighting for any room. 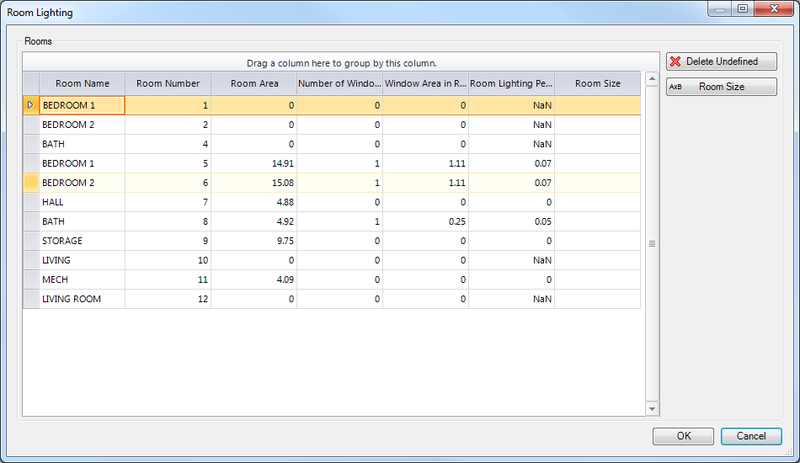 Based on square footage of specific room, this tool calculates illumination as a percentage. It also provides an editable dialogue box where the user can change the name and mark for the room." 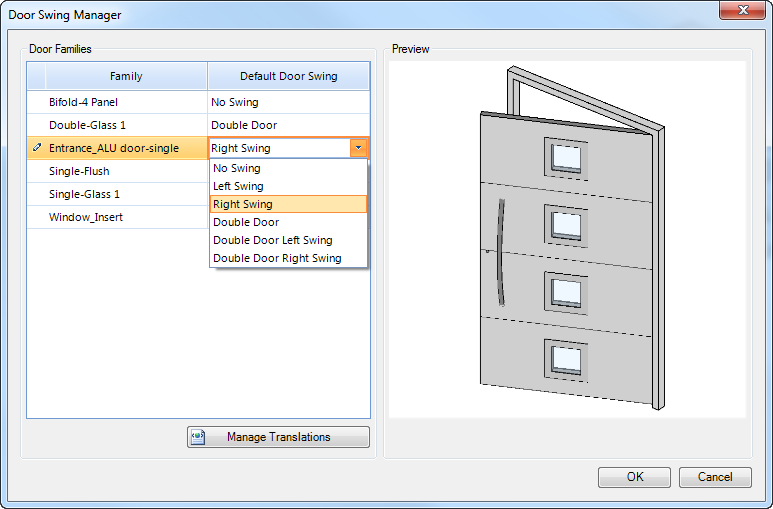 "The Door Swing Manager allows for user defined swing orientation (one-wing left, one-wing right, double door…). This information can then be used in legends and schedules. By changing the position and direction of the door swing in the model, the legend or schedule is automatically updated." 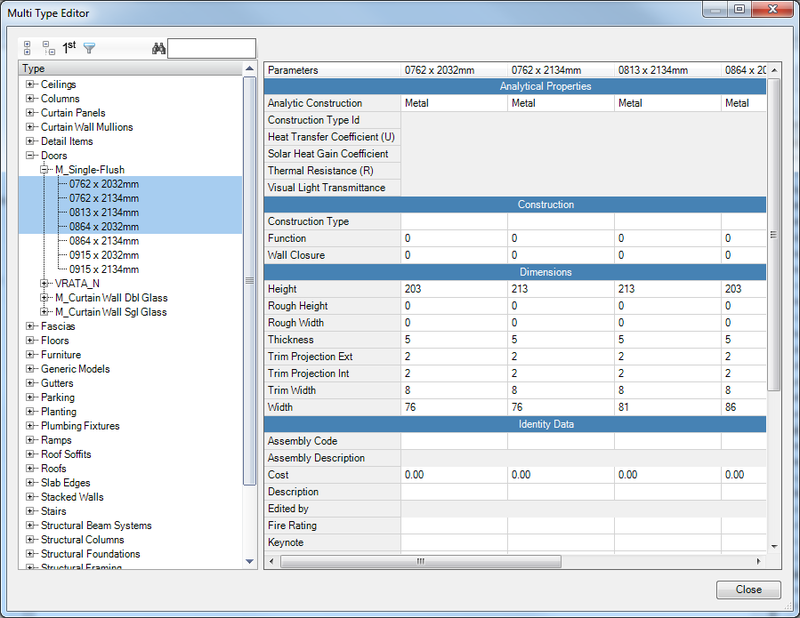 "The BIM Manager tools enable a user to manage their content. "The tool set includes best seller, BIM Query, which is an advanced spreadsheet parameter editor for Revit instances and types. "It also includes functionality like Importing or Exporting families, managing materials, sheets and views." This tool enables the user to quickly edit Type and Instance properties for selected Categories. 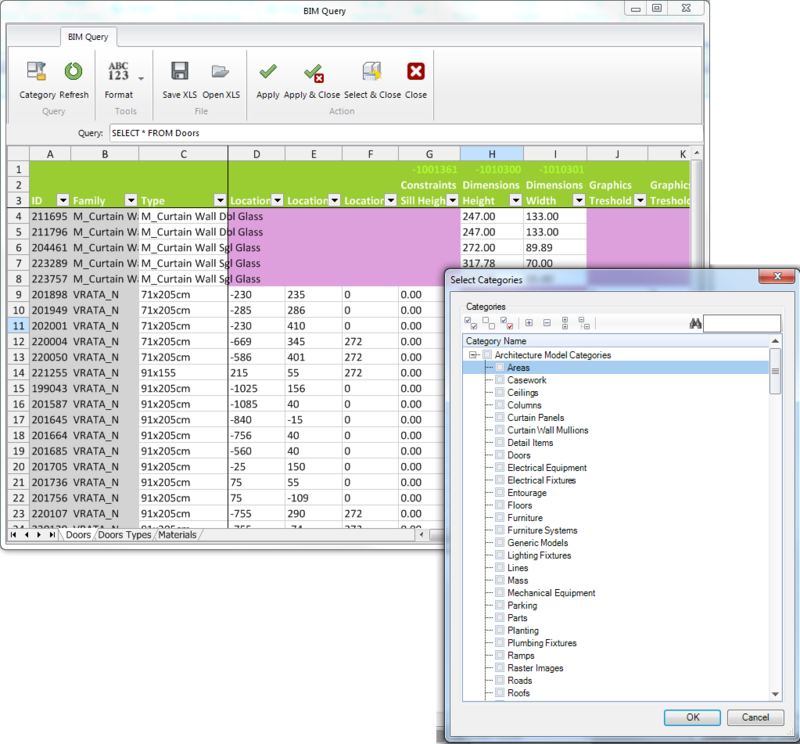 The user can edit properties with a built-in spreadsheet editor or save and open in MS Excel. Once the Excel file is updated, you can load it back and apply the changes to Revit model. 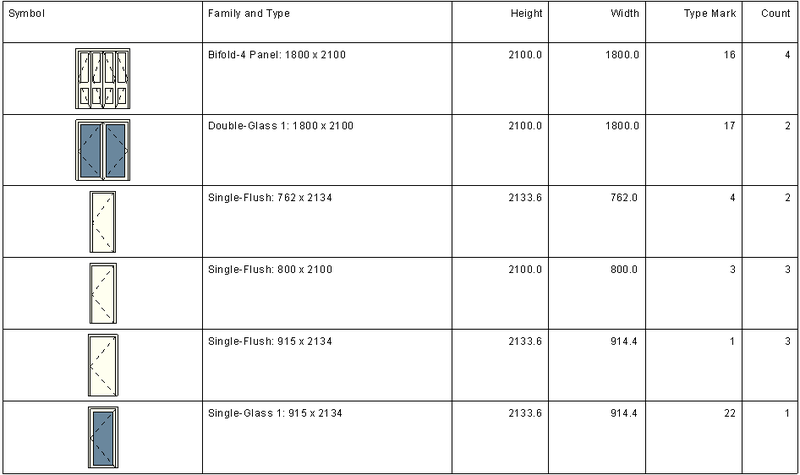 With the Sheet Manager tool, users are able to edit the sheet names, numbers, view…. 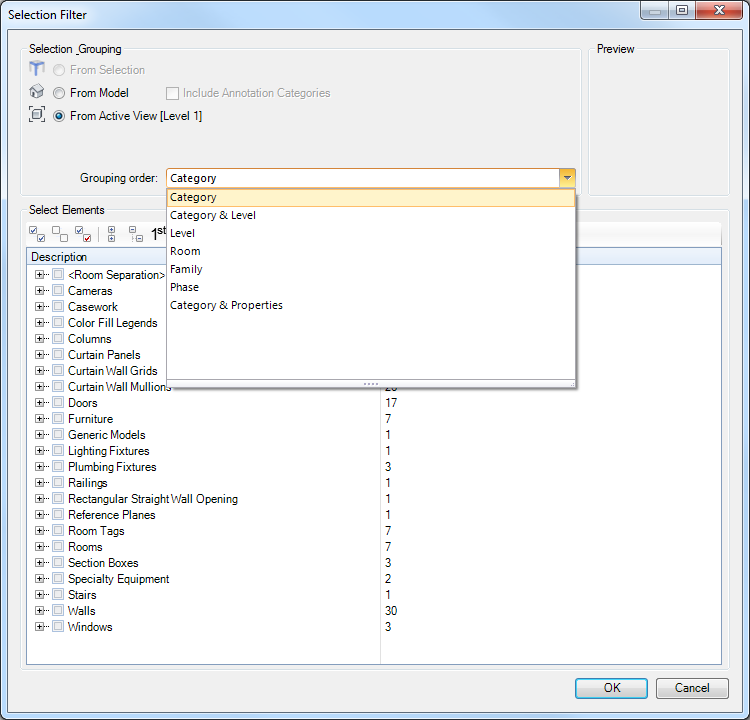 Parameters can be grouped and filtered as needed to enable a better overview of data on the sheets.